When Jeff Gordon hits the track at Michigan International Speedway he will do so driving the No. 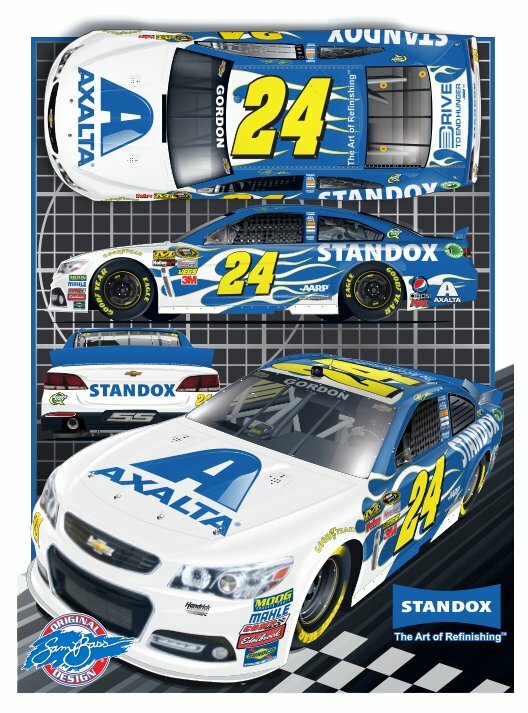 24 Axalta Standox Chevrolet. The car features a paint scheme from renowned NASCAR artist Sam Bass, who has designed over 50 different schemes for Gordon. 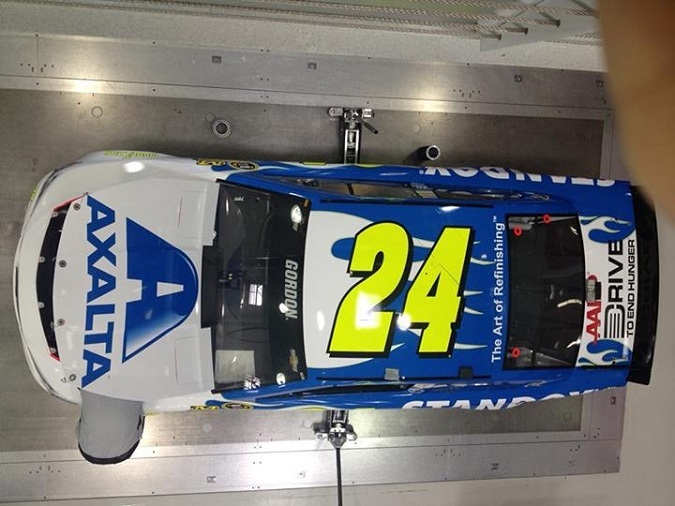 Gordon’s latest paint scheme look similar to the days of DuPont on the No. 24 to fans who have followed the four-time Cup champion’s career, save the blue and white. Two times Gordon has found victory at the 2 mile Michigan International Speedway. In 41 career starts Gordon has 25 top ten finishes and average finish of 12.4. Earlier this year Gordon finished 39th after being involved in an early race crash.